I love eating local delicacies especially cookies. Crunchy cookies are some of my favorite things to eat when I am at home and nothing else to do. Recently, my mother in law brought some cookies and she said it was either from a fellow doctor or patient of hers. The delicacies she brought included otap, patatas, and huevos. 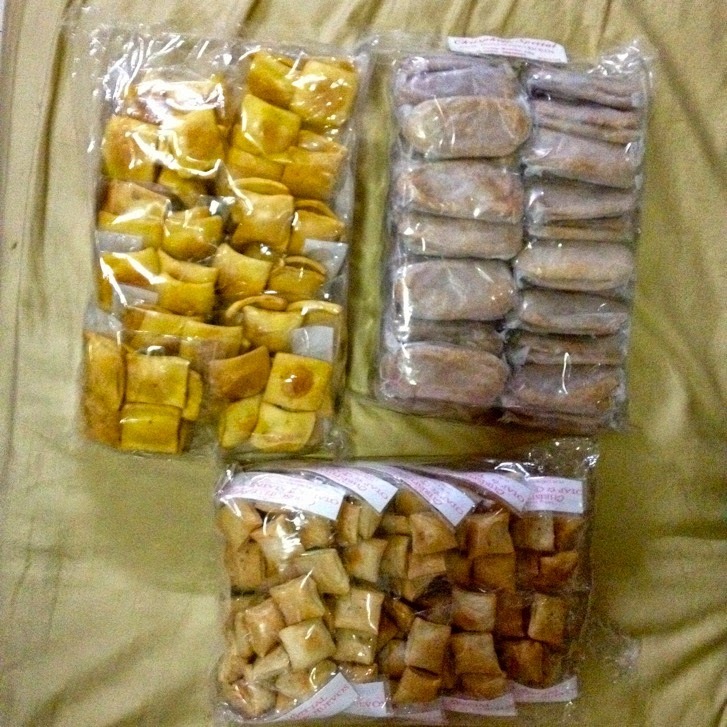 The cookies came from the town of Medellin in the Northern part of Cebu. 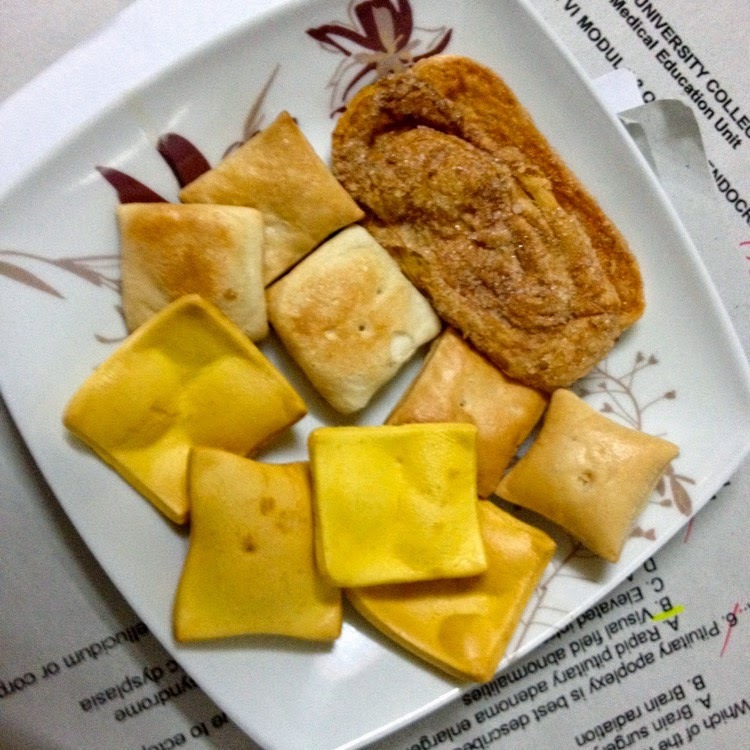 Growing up, I really enjoy eating these cookies especially the patatas. 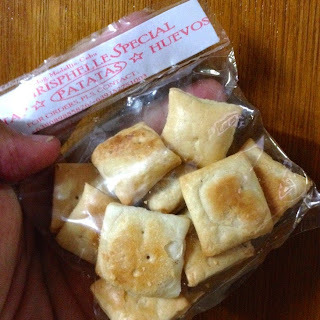 I felt like a kid again when I started opening eating a pack or two of the delicacies from Chrispelle Bakeshop. The patatas were smaller than I was used to, but I enjoyed it a lot. 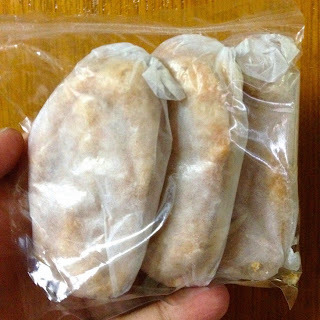 The cookies have a similar texture of an otap but it is without the sugar. It is really crunchy and it is a good alternative to salty corn or potato chips. The otap is an oval shaped toasted puff pastry delicacy. 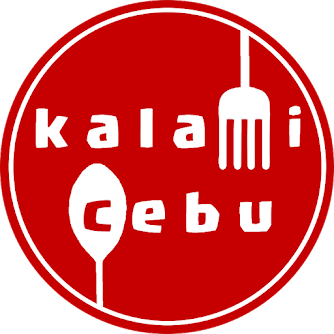 It is one of the signature delicacies of Cebu. The pastry is usually topped with sugar. 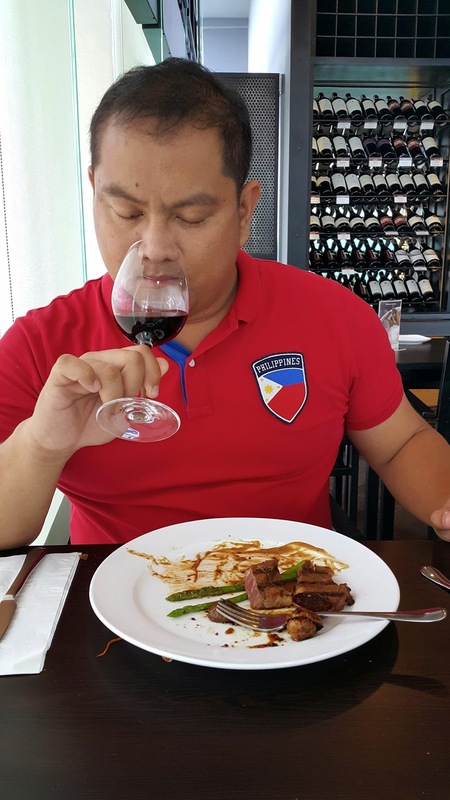 I usually like my otap to be toasted well (pagud). 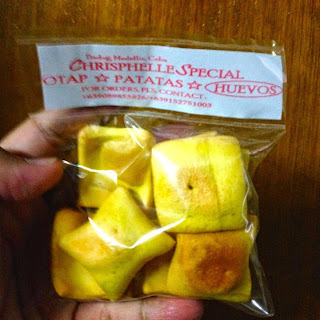 This yellowish bite-sized cookie has been one of my grandma's favorite snack items. I usually eat this in the afternoon when I was a kid. The delicacies reminded me of childhood and I really enjoyed the versions made by Chrisphelle. I might not go as far as Medellin to buy it because these cookies are readily available in supermarkets here in the city. 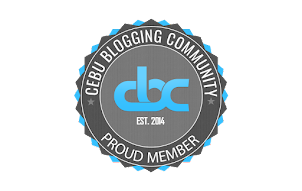 If you happen to be in Medellin though, you may contact 0915-275-1003 to order.